Dr. Oliveros specializes in orthodontics for the whole family. 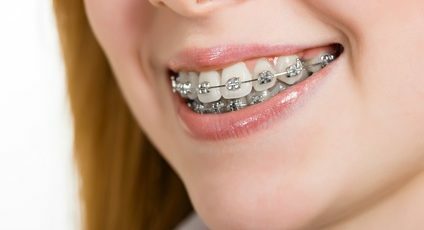 For many people, the word “orthodontics” brings to mind an image of a kid with metal bracket braces. However, advancements in orthodontic treatments have made it possible to treat people of all ages, often times in inconspicuous ways. While it is recommended that children come in for their first orthodontic appointment by age seven, we have successfully treated teenagers and adults alike. We proudly offer the Invisalign System, which is more cost effect, faster and more discreet than regular metal braces. With Invisalign, you can achieve a beautiful, confident smile with minimal interruptions to your everyday life and activities. However, there are many non- cosmetic benefits of orthodontic treatments. Malaligned teeth can cause difficulty chewing, pain in the TMJ jaw joints, and even contribute to snoring. If you are suffering from any of these discomforts, feel free to come in for an appointment to discuss whether orthodontics are an appropriate treatment plan for you. Dr Oliveros is committed to lifelong learning and regularly attends current courses in the fields of dentistry and orthodontics to ensure that his patients receive the best and most highly rated treatment options available. Rest assured that we will work you and/or your family to formulate the best possible treatment plan for your unique needs.